Kelly is based in the company's South Jordan, UT, facility. He is responsible for the safety and safe operations of all of Guardian Flight's more than 50 bases which serve 15 states, including Alaska and Hawaii. "In our company, our most important goal is to remain safe every minute of every day," says Buttrell. "To accomplish this, Steve is leading our safety culture and demonstrating through our actions that Guardian Flight embraces safety first." As director of Safety, Kelly leads the company's Safety Advisory Board, which consists of executive and senior management representatives from the company's safety, aviation, rotor-wing, fixed-wing, maintenance and clinical operations, as well as human resources, education, and subject matter experts from throughout the organization. Kelly joined the air ambulance industry as an IFR line pilot for STAT MedEvac in the Greater Pittsburgh area. 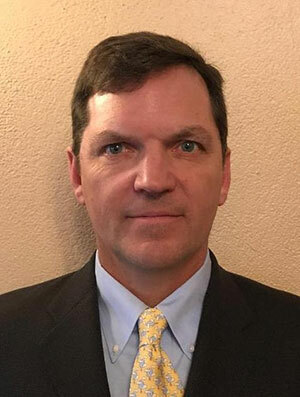 He holds an airline transport pilot (ATP) rating in helicopters and airframe and powerplant (A&P) ratings and is a veteran of the U.S. Air Force in operations and maintenance. He holds a bachelor's degree in science as well as degrees in aviation technology and small business management. Kelly has worked in operations, training and safety for Metro Aviation and STAT MedEvac. He has held positions as an incident review board member and safety officer; has traveled as an aviation safety guest speaker; and served as pilot base lead and instructor pilot. Additionally he has worked with the Dartmouth-Hitchcock IFR Helicopter Program where he collaborated with regional aviation management to promote operational standardization and safety through line-oriented flight training for pilots and medical-crew members. Guardian Flight is an Air Medical Group Holdings company. It operates a fleet of approximately 85 fixed- and rotor-wing aircraft dedicated to air medical flights in the Upper Midwest, Mountain West, Southwest, Alaska and Hawaii. Guardian Flight has more than 800 professional staff, including clinical providers, pilots, mechanics, trained communicators, and support staff. AeroCare Medical Transport serving in Arizona and New Mexico. Guardian Flight's parent company, AMGH, is the country's largest provider of emergency air medical services with more than 100,000 patient transports annually. Across the country, the company has more than 330 air base locations in 38 states with a fleet of more than 400 aircraft. Its team of more than 7,000 professionals is focused on safely transporting and caring for critically ill patients 24/7/365.